The PlayStation Pro represents a significant first for the console industry: a mid-cycle hardware refresh. 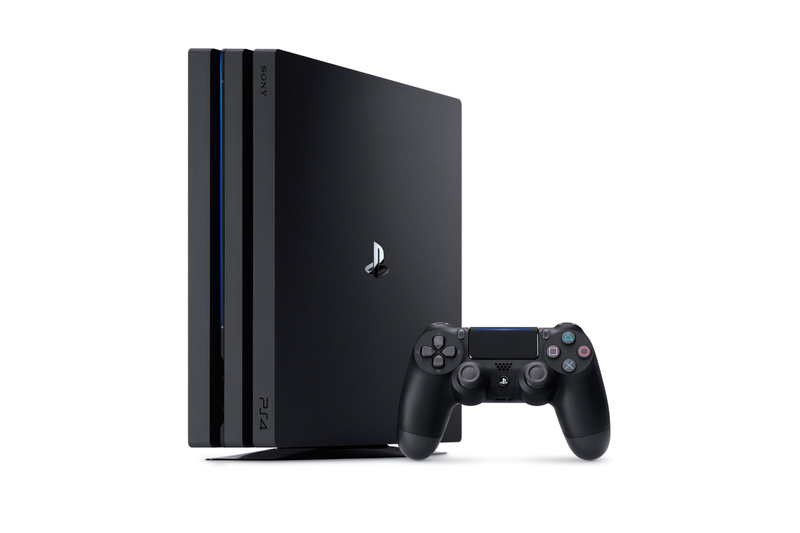 This brings PlayStation gamers a new, more powerful console, with a faster processor, more RAM, and double the graphics power to enable smoother framerates, wider color gamut, better lighting and shading, and of course, 4K resolution. But it also brings with it consumer fragmentation, ending what has traditionally been a one of the positive points of console gaming: simplicity. Due to this, the PlayStation 4 Pro makes for a very nontraditional hardware review. There are no new, Pro-only games to consider, the physical appearance is very similar, and even the UI is almost exactly the same as your standard PS4 or PS4 slim. And your mileage will vary – fairly significantly – depending on the TV you have a PlayStation Pro connected to. PlayStation knows its userbase very well. And the PS4 Pro is essentially a brilliant way for Sony to “double-dip” into their consumer audience, while at the same time offering players an entirely optional boost to their gaming experience…all without alienating the current install base. The most dedicated of PlayStation users – aka, the ones that criticize a game for running at a less than 60fps framerate; the ones that follow daily news about what’s new in the world of PlayStation; those of you reading this PS4 Pro review right now – will see instant appeal in upgraded specs and the promise of better graphics and smoother gameplay. The gamers that went out and purchased a PS4 right at launch are the consumer Sony is targeting with the PS4 Pro. This is the same sort of ‘early adopter’ consumer that likely already has sprung for a 4KTV as well, making the Pro an even more interesting proposition. At 4K resolution, graphics, facial models, textures, etc. will appear more detailed and crisper to the viewer. And with HDR enabled, lighting looks even more realistic, life appears to be more vivid, and you can see additional depth to things like texture on white fabric. In one particular striking example, with the HDR and 4K resolution patch applied to The Last of Us Remastered, every spec of grain on the leather to Joel’s couch can be seen with ease. It’s a very subtle visual to notice or appreciate, but the abundance of improvements as a whole is also easily apparent and can make game worlds all the more immersive. But it’s all subtle. The PlayStation 4 Pro isn’t a PS5, after all, so anyone expecting a whole new console level of graphical fidelity is going to come away from the Pro very disappointed. Even those that bought into early rumors of the Pro, back when the internet playfully called it the PS4.5. The Pro is no PS4.5, and would be teetering on the edge of exaggeration even calling it a PS4 and a quarter. Simply put, when you see – spec-wise – “double” the graphical power, or 4 times the resolution of 1080p, do not expect double or four times the graphics improvement on your 4K screen – it’s just not happening. But if you do already own a 4KTV, you will likely be appeased by the improvement in picture quality and overall performance. Water will appear more fluid-like; ice crystals will be visible in snow; particle effects will look especially bright and spectacular; textures will have more detail. If you don’t already own a 4KTV, the PlayStation 4 Pro does offer some benefits above and beyond a standard PS4. These users, too, will see additional depth and detail to graphics, albeit far less significantly, when playing games that have been patched or include Pro support. And beyond the graphical improvements, the additional processing power will keep gameplay to a lot more smooth and stable of a framerate. Many games, also include the ability to choose between a higher, 4K resolution, or locking to a buttery smooth 60fps at 1080p. The PS4 Pro is just less exciting and the improvements even more negligible without that 4KTV. I have two major gripes with the PS4 Pro, and one of them is with its PlayStation VR compatibility. In my PSVR review, I complained of the fact the PSVR Processing Unit’s USB cable was visible at all times running to the USB ports on the front of the PS4 and welcomed the PS4 Pro’s rear-USB cord. Problem, rectified! But the PS4 Pro isn’t the perfect solution for including the PSVR in your full PlayStation experience. You see, to use HDR mode on PS4 Pro games, a premium HDMI cable (HDMI 2.0 or higher, one is included with the PS4 Pro) must be run directly to the 4KTV and cannot be run through the PSVR processing unit. This means, every time I want to play games with HDR on, I need to unplug the HDMI cable from the PSVR processing unit, and connect it directly to the TV from the PS4 Pro. And when I want to get back to PSVR gaming, I need to then unplug the HDMI cable from the TV and run it back into the Processing Unit. From a technical standpoint, I don’t know if it needs to be this way for a reason, and that’s more than likely the case. But that doesn’t mean it’s not an unnecessary nuisance that I’ll need to be mindful of every time I play. The games themselves do get a performance boost in terms of framerate and overall smoothness, but I struggled to see any visual improvement to Until Dawn: Rush of Blood, or The PlayRoom VR. The smoother framerate in DriveClub VR allowed me to play it for longer than usual due to the reduction in motion sickness I feel. That’s a big plus. Because both PSVR and the PS4 Pro are both still so new, I believe more improvements will come as developers learn to optimize for the two devices, they’re just not here at launch. 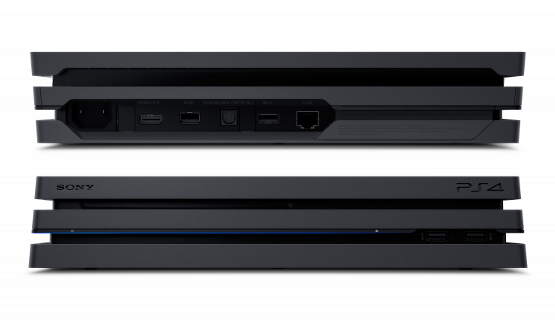 The PS4 Pro is heavier, and slightly larger than the current PS4, with an all matte finish and three-“tiered” design. You know that picture that went around the internet (and we’ve been guilty of using often) of a PS4 as a tank? Well, the PS4 Pro is like the real-life version of that picture. This thing is built like a fortress. The only thing I found cheap about it were the odd (for PlayStation), tiny, mechanical power and eject buttons. Under the hood it boasts eight Jaguar cores clocked at 2.1GHz, 8GB GDDR5 at 218GB/s, a 4.20 TFLOPS, AMD Radeon based graphics engine, faster wifi, 3 USB 3.1 ports, SATA-III support, and 1TB of storage. And with all that power, it is surprisingly quiet. The fans got no louder than a standard PS4, and the Blu-ray drive loading and spinning was no louder than one would expect. And all this for only $399 – $100 more than the standard PS4 or redesigned PS4 slim. It’s the same price point the original PS4 launched for, and the ‘sweet spot’ price for new hardware. But again, think of that target audience. Gamers who have yet to buy a PS4 would probably be well-served with a cheaper, PS4 slim. It’s the gamers who already have willingly shelled out $400 for a PS4 within the first couple years on the market. It’s of my opinion, that the same gamers interested in upgrading their PS4s to a PS4 Pro for $399, would also have given similar consideration for an even more powerful PS4 Pro at $499. These are the same types of gamers who feed off having the most powerful setup; the same types of gamers who would spring +$500 for a new graphics card in a Gaming PC for a similar boost in performance as what the PS4 Pro offers over the PS4. Essentially, I feel as though Sony should have upped the power even more, and included an UltraHD 4K Blu-ray player (my second major gripe with the PS4 Pro) at a slightly higher price point. The target consumer Sony is going after with the PS4 Pro is the consumer who values specs and features more than price point. And the fact that the PS2 was my main media player for nearly a decade using DVDs, and the PS3 the same only with Blu-ray, it feels less “Sony” to me to have to look elsewhere for a 4K Blu-ray player. Sony may have kept the specs reasonable as to not alienate the current install base, but considering there is now consumer fragmentation anyway, and competitive modes can purposely be kept on an even playing field, I see no reason as to why Sony played it so safe with the price point. Making it more powerful and more expensive now, means less units sold up front, but it would stand stronger against Xbox’s Project Scorpio in the future with a year of support behind it when that eventually launches (and assuming the specs of Scorpio stay the same). Still, the PS4 Pro is the greatest console ever released. It’s greater than the PS4, and the PS4 has been an excellent console for three years now, commanding a substantial lead over the Xbox One. Sony is in the power position once again and doing exciting new things with the PSVR and the first-ever mid-cycle console refresh. But even more important than with the launch of the standard PS4, you must hedge expectations. This is not a new console, and it will feel – for the most part – exactly the same as a regular PS4. Graphical and performance differences are noticeable, but they are not glaring and overly obvious. They contribute to the subtleties that immerse you in a richer, more detailed world. But without those added subtleties, the experience wouldn’t suffer to the point where the PS4 Pro is a must-buy. If you own a PS4 and a 4KTV with HDR, and are looking to get the most out of your visual experience and see some slight improvements in performance, then consider buying a PS4 Pro. Spending $400 to maximize your current investment is a no brainer. If you own a PS4 but don’t own a 4KTV, hold off until you get a 4KTV before getting a Pro. The differences just won’t be significant enough to warrant spending $400 again for. If you have never owned a PS4, it’s a tossup. If you haven’t already gotten a PS4 at this point, increased graphics and performance may not matter as much to you and you could be more than satisfied with a PS4 slim. But even here, I’d recommend buying a PS4 Pro, as it’s the more “future-proof” investment for only $100 more (and don’t forget it has 1TB of HDD space out of the box compared to the 500GB in the slim). The PlayStation 4 Pro is very much an optional upgrade and comes solely down to how much performance you want to get out of your PS4, and if you can even take full advantage of what it offers. Will you go Pro? Let us know in the comments. PS4 Pro hardware provided by Sony for review. Non-4K PS4 Pro testing was conducted on a Sony XBR-52LX900 HDTV in 1080p. 4K PS4 Pro testing was conducted on a Sony XBR-65X850D 4K UHDTV with HDR enabled.